A podcast about the human spirit. Inspiring interviews with thought-leaders in the fields of trauma, mindfulness, addiction and yoga. 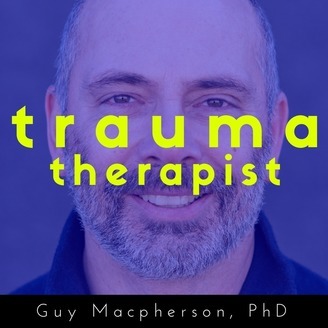 Join Guy Macpherson, PhD at traumatherapistproject.com as we hear about the journeys of passionate mental health therapists who dedicate their lives to helping those who&#39;ve been impacted by trauma. Today on the podcast I'm very excited to have Erica Hornthal! Erica is a licensed professional clinical counselor, board-certified dance/movement therapist and the founder and president of Chicago Dance Therapy, Inc., a psychotherapy practice founded in 2011. This episode is sponsored by: PESI. Clinicians have advanced their practice and improved client outcomes with education from PESI’s live and online CE seminars for over 40 years. 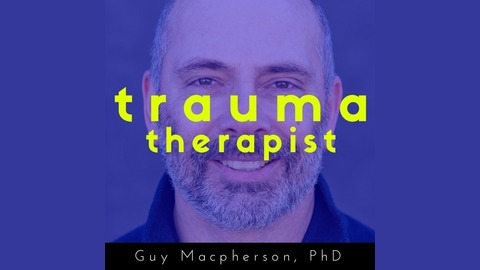 This episode is also sponsored by CPTSD Foundation. Erica received her MA in Dance/Movement Therapy and Counseling from Columbia College Chicago and her BS in psychology from University of Illinois Champaign-Urbana. While Erica has worked primarily with individuals who are diagnosed with dementia and movement disorders, she also sees many individuals who are looking for a more holistic approach to dealing with anxiety, trauma, depression, and grief.